Can car racing go green? Well, Toyota thinks so. Just this summer the company that brought us the Prius, won the Tokachi 24-Hour Race with a hybrid car; the first ever to have won such a competition. The car completed the 616 laps in 24 hours, 19 more laps than the second place finisher. 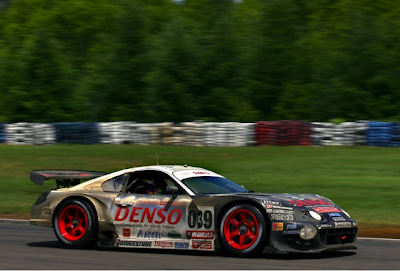 The car is based on the the Supra GT and uses a four-wheel energy regeneration and drive system. In addition it includes a 10 kW in-wheel motors in the front wheels with one 150 kW rear-axle mounted electric motor. To complete the Eco-friendly engineering package, a quick-charging super-capacitor system was incorporated that provides energy storage for the vehicle. Speed demons worldwide can now rest easy...as the need for speed just got a little greener.